Product prices and availability are accurate as of 2019-04-17 23:33:35 EDT and are subject to change. Any price and availability information displayed on http://www.amazon.com/ at the time of purchase will apply to the purchase of this product. 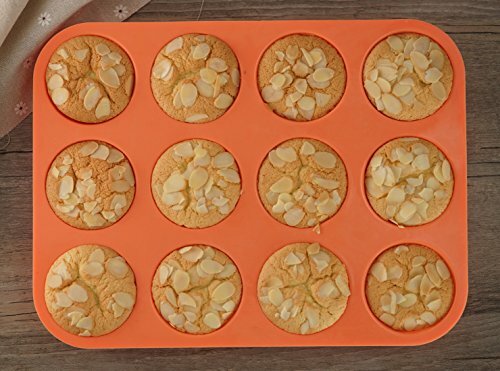 Mirenlife muffin cupcake baking pans' Features are great for your kitchen cooking.They are awesome for muffins, cup cakes, quiches, cornbread and more. You will have a happy baking time. 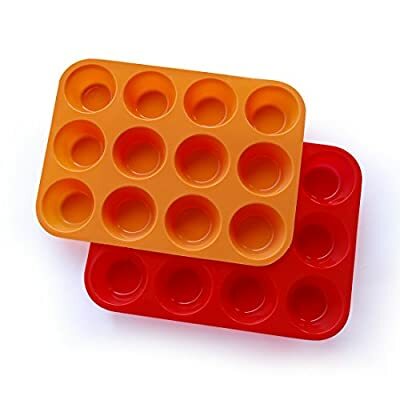 Premium Material: Made of high quality FDA approved 100% food-grade silicone. 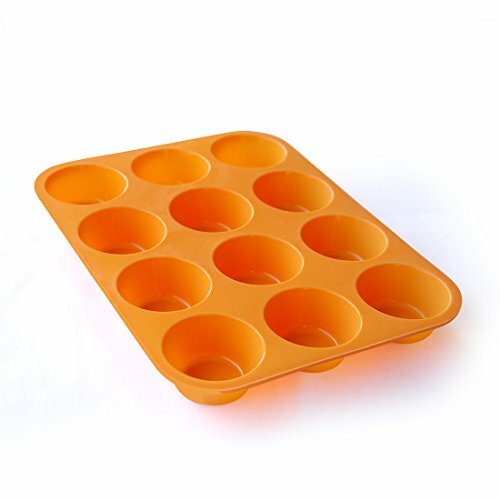 They are non-stick, flexible, reusable and durable. Really save your money and help the environment. Easy to clean: Dishwasher is safe. If you like to hand wash, just turn inside out and use any brush. clean them will be in a blink of an eye. Size: 29.2 cm*22 cm*3 cm (11.5 inch*8.66 inch*1.18 inch) (approximately); Each cup size: top diameter: 6.35 cm (2.5 inch), bottom diameter: 4.5 cm(1.77 inch) (approximately). We offer you several care tips to extend our pans' service life. 1.Before first use, please give them a "hot" bath. 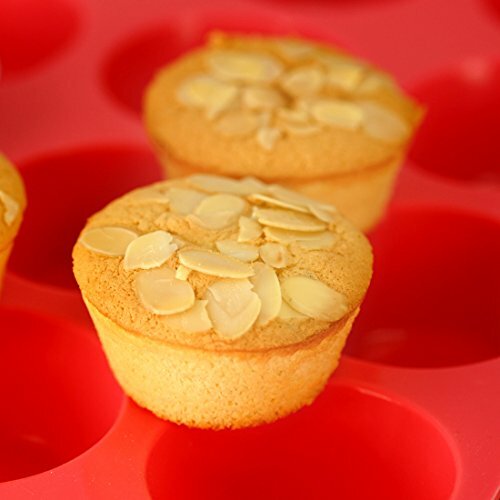 2.Lightly grease or oil the surface before filling and baking according to your recipe. 3. Do not use on open flames or over a direct heat source. 4. Let food cool before removing them from mold. 5. .Do not use sharp tools or knives to remove the food from the it, so as to avoid scratches and mold damage. 6. Do not use abrasive soap or scouring pad to clean them. 7.Before storage, please let them air dry. In order to avoid the dust, do not direct exposure it to the air for a long time. 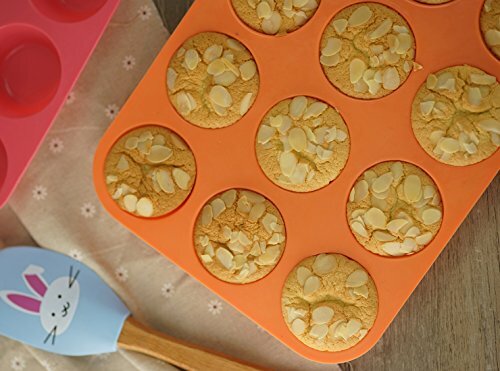 Do you like Mirenlife Non-Stick Silicone Muffin Cupcake Baking Pan? Add them to your cart now! Made of premium quality food-grade silicone, no fillers required. High quality, BPA free and FDA approved. Oven, microwave, freezer and dishwasher safe. Can withstand temperatures from -40 degrees Fahrenheit to 446 degrees Fahrenheit. Non-stick surface handling, easily to clean to avoid any stain and odor resistant.